"Are you thinking about getting a divorce? If so, then you have come to the right place. 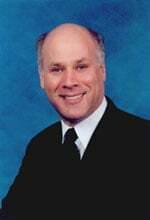 I am Steve Kaplan and my law practice is 100% devoted to representing people in Monmouth County NJ divorces. The first step is to examine the issue of whether you really do wish to go forward with a divorce or whether there might be other more appropriate options available to you, such as marriage counseling or a trial separation. Should you decide to pursue a divorce, then this website is structured to carefully and thoroughly help you understand what is involved. You should spend some time carefully reading through the blog articles on this website. They will answer your questions regarding getting divorced here in Monmouth County, NJ, including answers to questions of child custody, alimony, property division, child support, and all related issues. This article in particular will walk you through the steps of getting a divorce here in Monmouth County. If after you have read the articles on this website and would like to then come in and meet with me personally, my staff would be happy to schedule a Monmouth County divorce strategy session with me for you. During your Monmouth County divorce strategy session, all issues involving children, finances, assets, retirement accounts, violence in the marriage, and anything else that may be going on in your particular situation will be discussed in a fair amount of detail. We will discuss options and will come up with an initial plan to offer you as much protection as possible. The strategy session is completely confidential. Sometimes people are ready to start the divorce process immediately upon the conclusion of the divorce strategy session. Other times, they are just gaining background information and I don't hear from them again for months or even years. Once someone tells me that they are actually ready to begin the divorce process, we usually start with another meeting. At that meeting, I would present you with a "retainer agreement." A retainer agreement is a contract between a lawyer and a client. NJ law requires a written retainer agreement between every client and the client's lawyer before the lawyer may start working on behalf of the client. In addition to the retainer agreement, the is a retainer fee. My retainer fee is between $7500 and $12,000, depending upon the complexity of the case. I bill my client from the retainer at the rate of $450 per hour from the retainer fee. If we do not use the entire retainer fee, then the balance is returned to the client at the end of the case. If we go beyond the initial retainer, then subsequent retainer funds will need to be provided at that point so that the case can progress. An important issue to be discussed at this early stage of the case is whether to file for divorce immediately or whether it might be better to reach out to the spouse to begin negotiations first. We will also discuss whether there are any immediate concerns, whether they be financial, child related, or domestic violence related. We may discuss whether there is a need for immediate court assistance with any particular issues. If you decide to file for divorce immediately, we will prepare a divorce complaint. There are more than a half a dozen grounds for divorce New Jersey but in my experience since the law was modified in 2007 to allow for the filing of divorce based upon "irreconcilable differences", most people choose to file on those grounds. This can help to minimize the often needless pain and offense taken by the other side, yet obtain the same ultimate relief for you: a divorce. There is a filing fee of $325 if you have children and $300 if there are no children, and certain other documents that must be prepared to accompany the complaint for divorce. Whether we file for divorce or immediately or not, we almost always send a letter to the other spouse advising the spouse that my office has been retained to represent your interests. I usually try to send a gentle first letter, as emotions are usually raw enough at this point and the receiving spouse generally understands that this is a serious situation, without the need for me to inflame things with an offensive letter. The goal of the initial letter is to notify the other spouse that we have been retained, to ask that spouse to have their lawyer contact us, and to make it clear that we intend to be fair with that spouse and that we hope for that spouse to be fair with us as well. This can often help to keep the costs and emotions low during what could otherwise be a very difficult time. Whether to file for divorce immediately or not depends upon the particular facts of your case. Sometimes we need to get into court quickly and without filing for divorce, there is no easy way to do that. Other times, though, it may be better to negotiate in an effort to reach an amicable settlement first. Filing for divorce would not be advisable quite yet in those circumstances. If we decide not to file immediately, then negotiations often begin. To achieve that goal, one of my paralegals and I will fill out a Case Information Statement with you. The Case information Statement (also known as a "CIS") is really the financial "backbone" of the case. It is very important to be as accurate as you can be when completing the Case Information Statement because many of the decisions that are made during the case, both by you and by the Court, will be based upon the content of the Case Information Statement. There is a form for the Case Information Statement available through the state of New Jersey that this link will take you to. I am often asked, "how long will it take for my divorce to end? " That is not always an easy question to answer. That question is almost as impossible to answer as the question "how much does it cost to purchase a car?" Well, the answer to that question depends upon what kind of car, doesn't it? Similarly, the answer to the question of how long it will take for you to obtain a divorce will often depend upon a number of factors. For example, are you or your spouse the owner of a business? If so, it will have to be valued and perhaps an evaluation of exactly how much income is produced by that business may have to be undertaken. How difficult or cooperative do we expect your spouse to be? How difficult or how cooperative will you be with the process? Will the lawyer chosen by your spouse be reasonable or unreasonable to deal with? Who is the Judge assigned to your case, and how does that particular Judge handle the various hearings and related Court events that typically occur in a divorce case? These and many other questions all play a role in answering the question "how long will it take for my divorce to be completed?" In a perfect world, a divorce would be linear, meaning that it starts at point A and progresses straight ahead to point B, where the divorce occurs. But most divorces are not "linear" in nature, but more resemble a jagged line getting from point A to point B. Along the jagged line are various event dates. For example, if you need help from a Judge, we would file a motion. A "motion" is a formal set of papers that we would design and prepare to request the specific help that you require in your particular situation from a Judge. There are conferences set up by the Court to help move the case along. Ultimately, if we settle all outstanding issues, I will draft a "Matrimonial Settlement Agreement" which will resolve all issues of custody, parenting time, child support, alimony, property distribution, and any and all other issues. That document will ultimately be incorporated into a judgment of divorce that will be signed by the Judge at your uncontested divorce hearing. However, if we are unable to settle the issues in your case, then ultimately there might have to be a trial by a Judge. In this situation, the Judge will determine all issues in dispute between you and your spouse. As an alternative to a trial, people are turning more and more to the concepts of "divorce arbitration" or "divorce mediation." In arbitration, you and your spouse, through counsel, hire another lawyer to serve as the "arbitrator", essentially a private judge. This can be a very effective way to have a third-party determine the issues in dispute between you and your spouse. Going to Court for trial is costly and takes a tremendous amount of time. Arbitration can be less costly because at trial, a tremendous amount of time is spent waiting around for your case to get reached, whereas at an arbitration, it is just your case before the arbitrator, and this is often a much more efficient proceeding, even though you are paying a third professional (i.e., the arbitrator).